Believe it or not, one of the most widely sung songs in all of humanity wasn't penned by a Beatle, rapped by Eminem, or number one for multiple weeks on Billboard's Top 40 charts. As a matter of fact, this particular song was a worldwide hit long before radio's first broadcast paved the way for Wolfman Jack, Cousin Brucie and the Milkman's Matinee. Written on Christmas Eve nearly 200 years ago, Silent Night continues its reign as a holiday sensation all across the world with every generation. 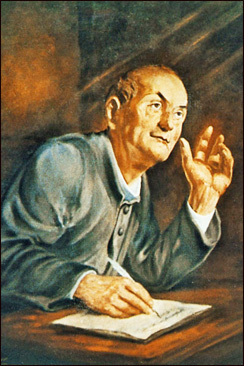 Silent Night began as little more than a poem, penned by Josef Mohr. 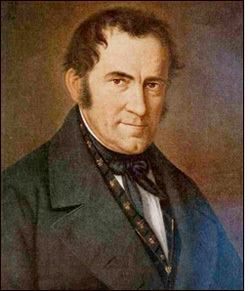 Mohr was born in Salzburg, Austria on December 11th in 1792. Josef would never know his father as he joined the army and later deserted leaving the youngster with little more than a name. His mother, Anna Schoiber, suffered a severe penalty for bringing Josef into the world. In Austria, it was a Carnal Offense to have a child out of wedlock. The penalty for the commission of such a crime equaled a full year's salary for Anna, a weaver by trade. Anna, who lived with her mother, two other children and a cousin, all in a single room, could ill afford the loss of her salary for an entire year and so, she bartered her young son to the Town Executioner, in exchange of the fine. As it turned out, a Priest would save the lad from a life of servitude. Highly impressed with the youngster's singing voice, the Priest pressed the Town Executioner to see to Josef's education. Josef chose the priesthood, paving the way for a chance meeting with a musician on Christmas Eve of 1818. Franz Gruber was born on November 25th in the year of 1787. He was a schoolteacher and a church organist. 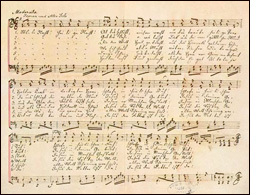 On Christmas Eve of 1818, Josef Mohr showed him his poem, Silent Night and asked the musician to set it to music. That night Gruber composed the melody, which he is alleged to have called a "simple song." This simple song quickly caught fire, spreading around the globe to become one of the greatest hits of all time, in a time when radio was unheard of. Oddly enough, the first radio broadcast would also wait until Christmas Eve, when Canadian Reginald Fessenden would experiment with the first radio broadcast December 24th, 1906. Today, Silent Night graces the AM radio band as well as FM and Satellite radio. The song is so endearing, some of the greatest recording artists in the world have released a version of the song. Most recently, Grammy nominee and young heartthrob Josh Grobin has recorded Silent Night. Others before him include the immortal Frank Sinatra, Elvis Presley and Bing Crosby. The Temptations recorded Silent Night as have Boyz II men, Stevie Nicks, of Fleetwood Mac fame, Annie Lennox, Andy Williams, Chicago, Clay Aiken and Mariah. My personal favorite is the rendition by Sarah McLaclin and those are just to name the re-makes available on I-tunes. If there is a place in the Rock'n roll Hall of Fame for the likes of Lennon and McCartney, Jagger and Richards, Rodgers and Hammerstein; shouldn't there be a plaque for the likes of Gruber and Mohr? After all, is there really a more widely known song than the ageless beauty of Silent Night?